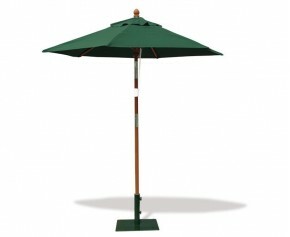 A stylish yet heavy-duty square parasol base that will enhance the look of your garden while ensuring your freestanding parasol is safe and secure when in use. 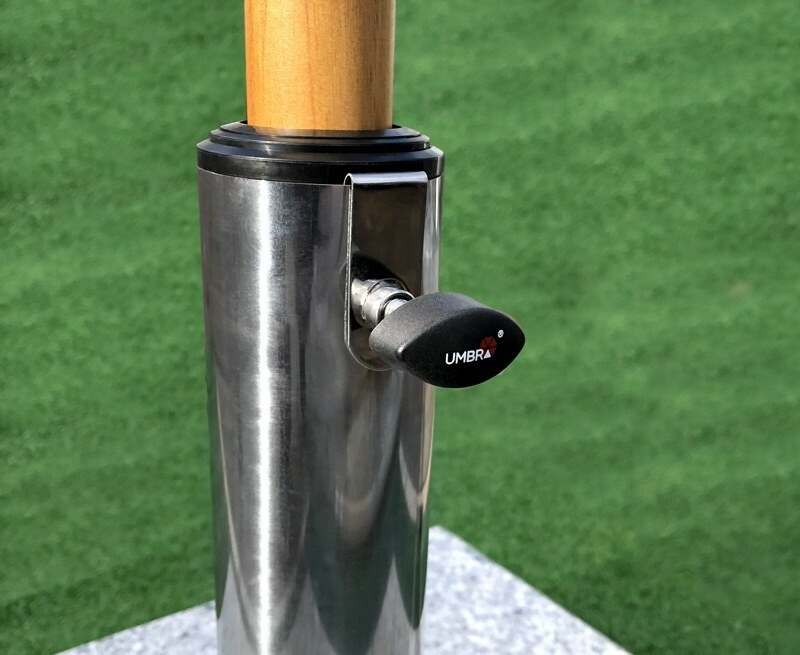 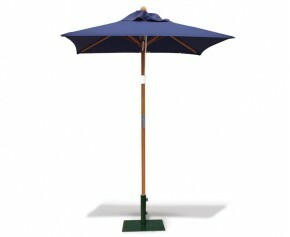 Suitable for use with parasols with a pole diameter of 26mm – 52mm, the base comes complete with adaptors and tightening knobs to keep the rust-free, stainless steel pole secure. 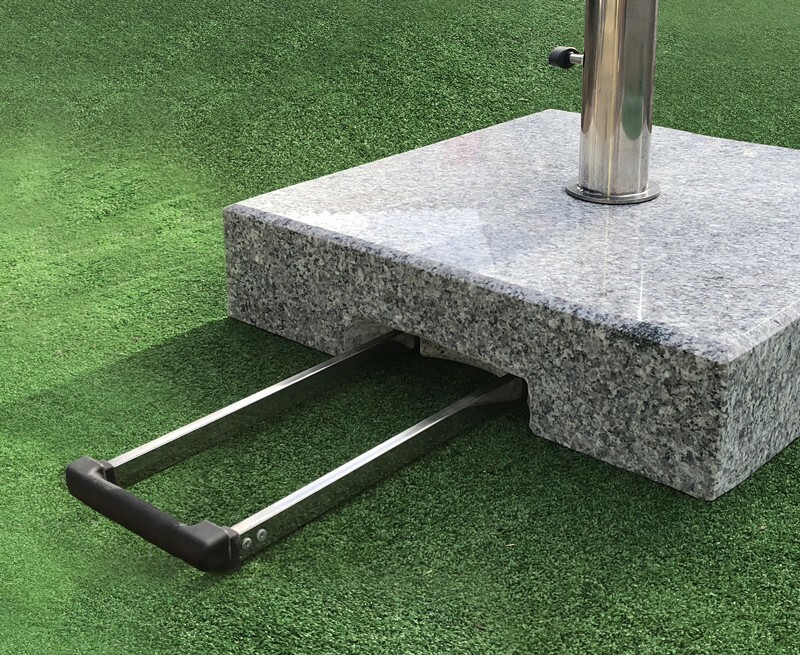 This granite parasol base comes with discrete wheels and a telescopic trolley handle, that can provide moveable shade from the sun when needed. 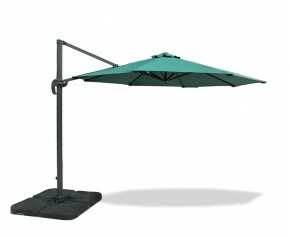 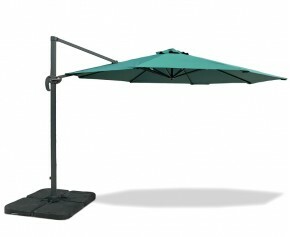 Weighing 70kg, with two thumb-turns, it will give you piece of mind that your parasol will stay safe and secure when freestanding. 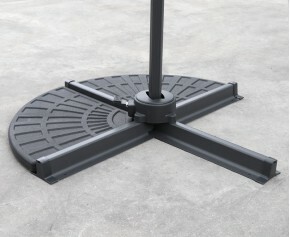 The telescopic trolley handle tucks away neatly beneath the square base when not in use. 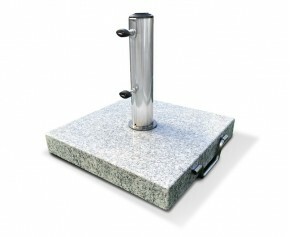 The 10cm thick base makes it unsuitable for use with tables with floor mounted ladder rails. 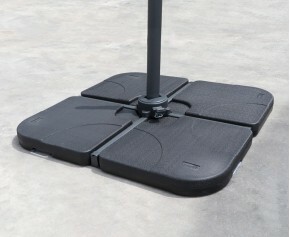 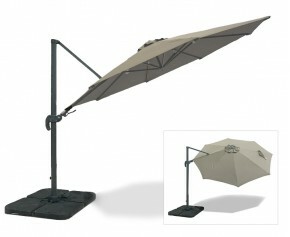 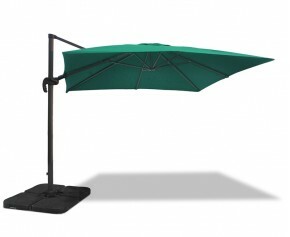 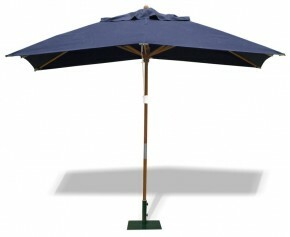 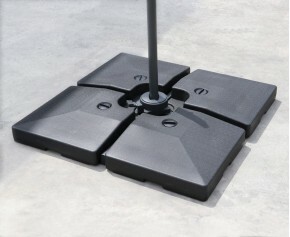 To protect surfaces from scratching, the granite parasol base includes four nylon feet. 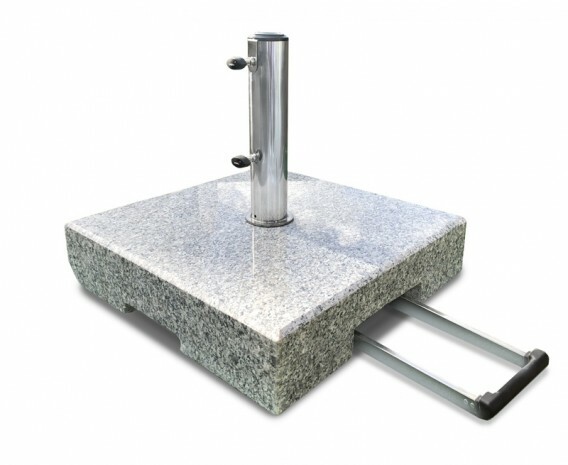 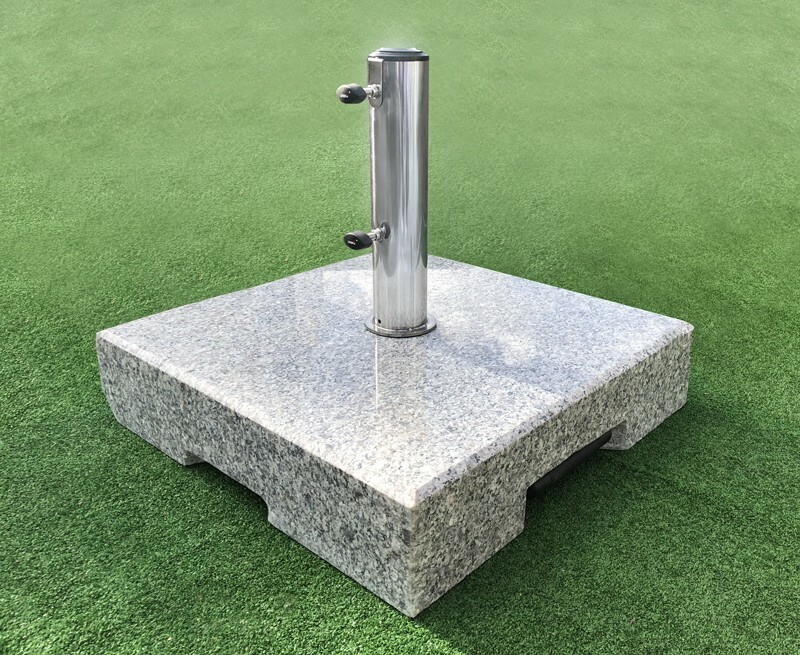 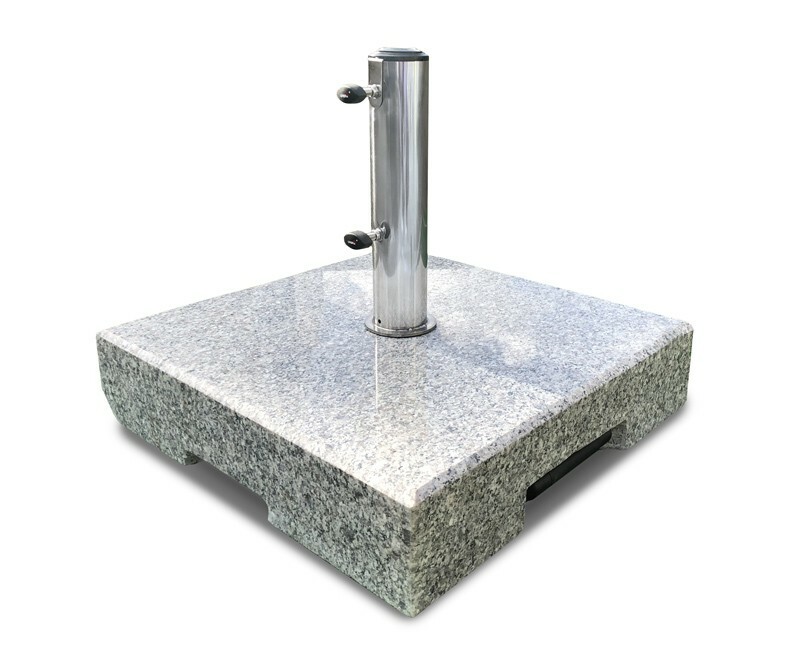 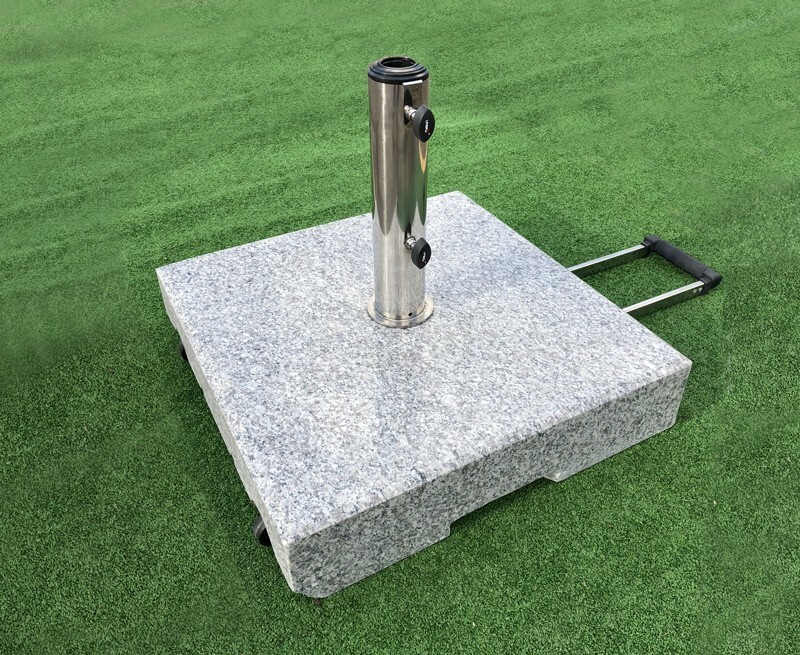 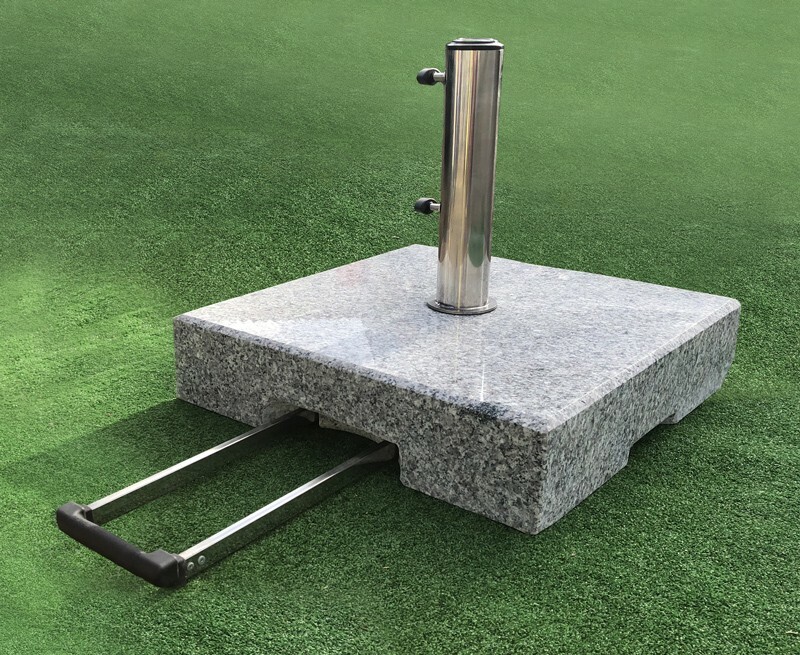 Please note, this granite umbrella base is exceptionally heavy, weighing 70kg, therefore we recommend a minimum of three people are needed to lift and carry the square parasol base safely to your desired location.